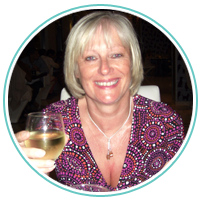 I hope that you are all having a good weekend. I have spent the best of the day revamping one of the borders in the garden . It took me much longer than I thought it would as the soil was very dry and not in very good condition. I have planted a row of lavender at the back, then some lovely burgundy tulips , mauve wallflowers and pink cyclamen. They should look great in the spring. 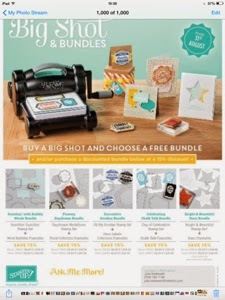 Stampin up have introduced an offer on the Big Shot which will last for August. Any crafter will know how useful a Big Shot is and I use mine most days so it is money well spent. Buy a Big Shot and choose an exclusive bundle of stamps and dies completely FREE. This could save you up to £52.90 (if you went for the stars set) in effect making your Big Shot £35.05 in price! Below is a list of the Bundles that you could get your hands on!